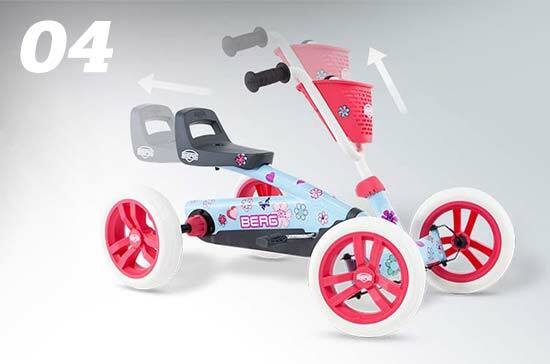 Every child learns to pedal super easily due to the direct drive and special go-kart design. 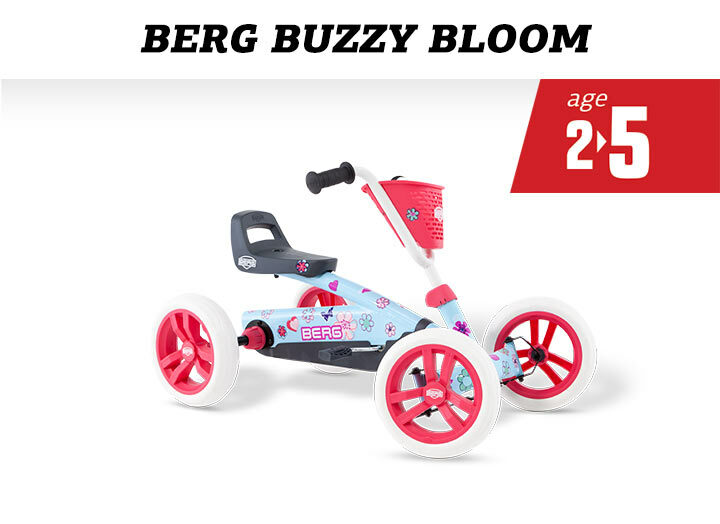 The BERG Buzzy is equipped with a fixed connection between the front axle and the rear axle. 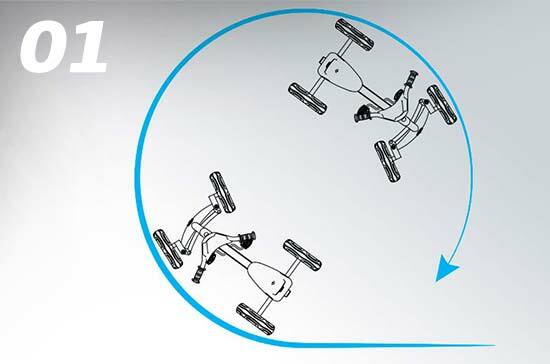 This means that the movement of the legs is immediately converted to the movement of the rear wheels. 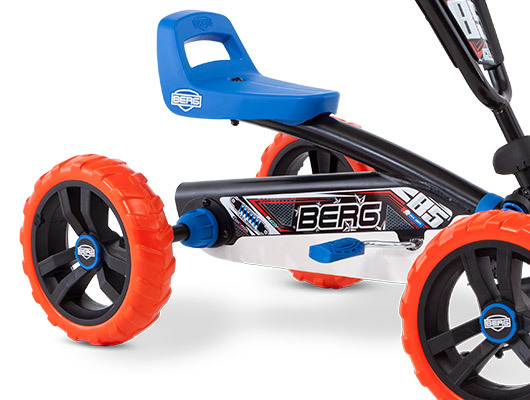 This makes the BERG Buzzy super simple and easy to ride, both forwards and backwards. Also, the front and rear axles are mounted on ball bearings, making the pedals and rear axle run supersmooth and light. 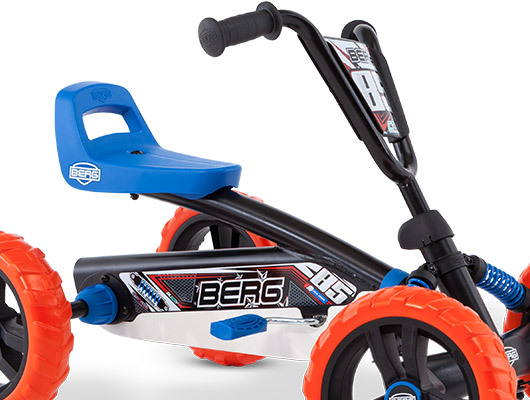 In short, the best toy for children aged 2-5 years! 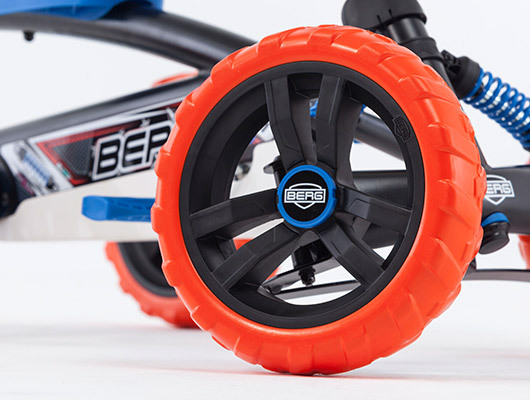 The BERG Buzzy has four EVA whisper tyres. These tyres are made of high-tech foam. 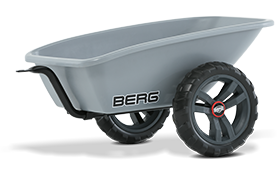 For the BERG Buzzy, this is the ideal replacement for the traditional rubber inner and outer tyres. Thanks to the right composition, the tyres are just as durable as traditional rubber tyres but without the risk of a flat tyre. These tyres also provide a very quiet ride. 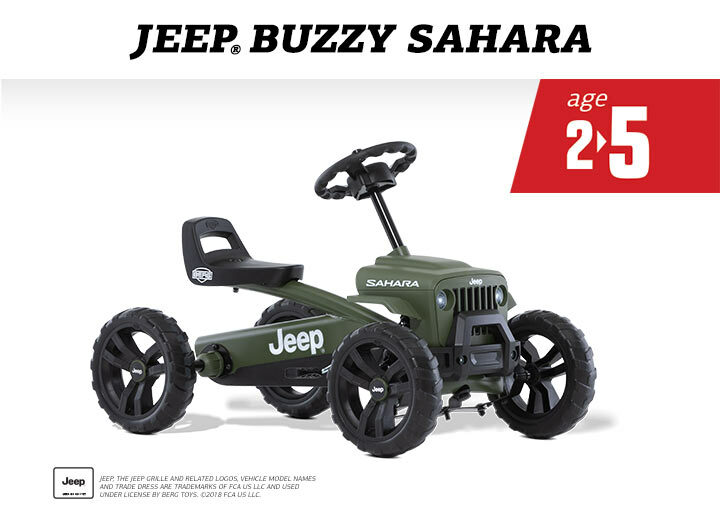 This makes the Buzzy ideal to use indoors and out. 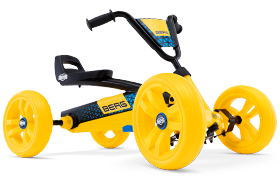 The BERG Buzzy remains firmly on the ground thanks to the four silent whisper tyres and the swing axle. 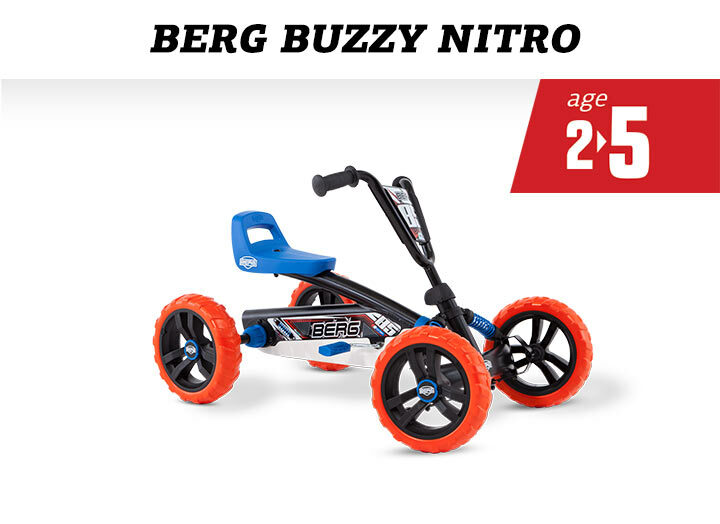 Thanks to its four wheels, the BERG Buzzy has excellent stability. Because tricycles have one wheel less, they are prone to tipping over. Riding sharply or fast around corners on a tricycle creates dangerous situations. In a BERG Buzzy these lines are parallel and further away from the driver. This ensures that there is no tipping point so that tipping over is virtually impossible. 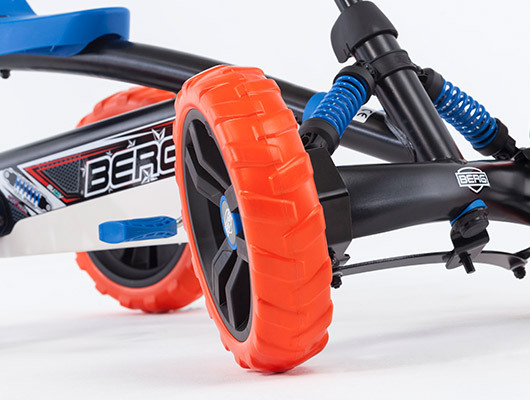 In addition, the BERG Buzzy has a swing axle. 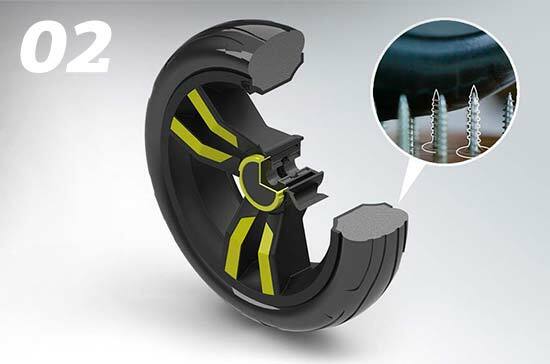 This creates a swinging motion of the front wheels which absorbs road surface irregularities. There is thus even less risk of falling! 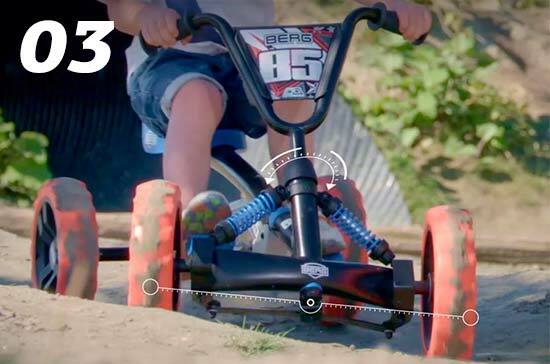 This go-kart grows with you due to the adjustable steering wheel and saddle. Suitable for children aged 2-5 years. 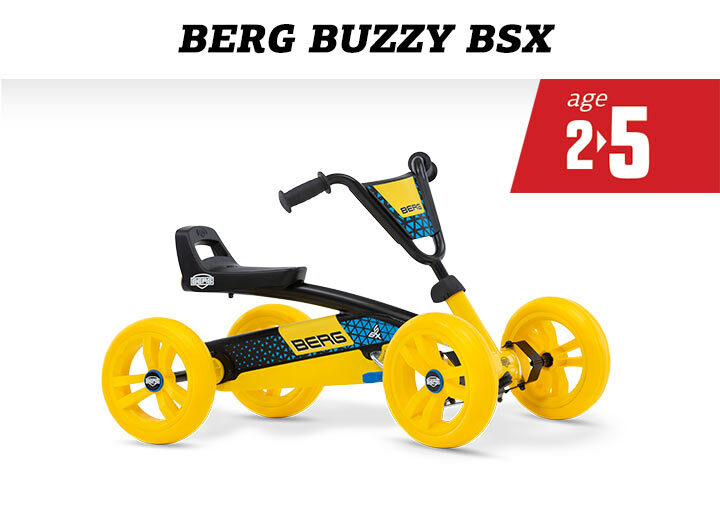 Both the steering wheel and the saddle of the BERG Buzzy can be adjusted. 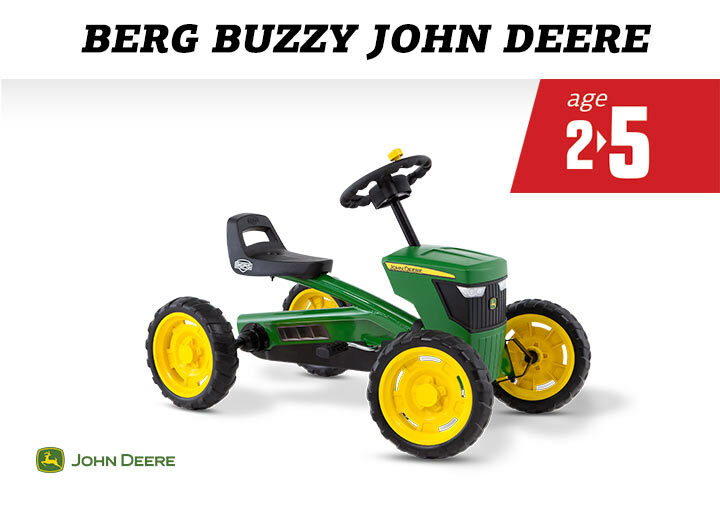 This ensures that your child can always sit comfortably on this go-kart. As your child grows, the seat can easily be adjusted one position further back. The steering wheel can also be adjusted with one single movement. This trailer makes playing outside even more fun! 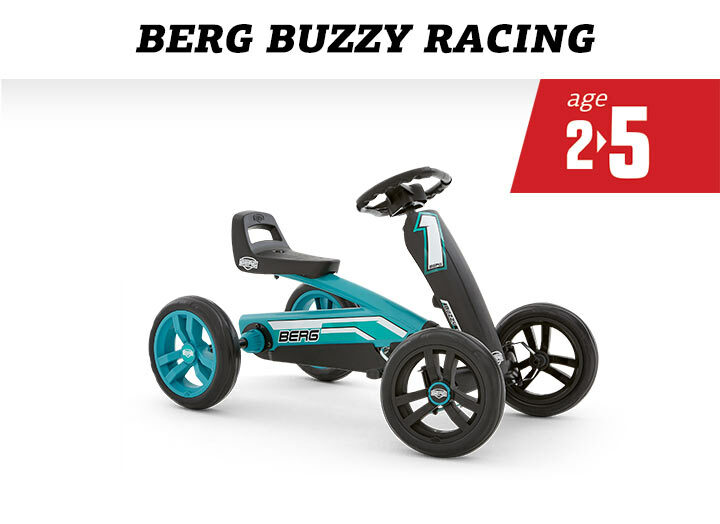 Which BERG Buzzy will you choose?